Over the weekend, a shipment of Nintendo Switch consoles hit Japanese retail. That mean some stores saw long lines months after it originally launched. 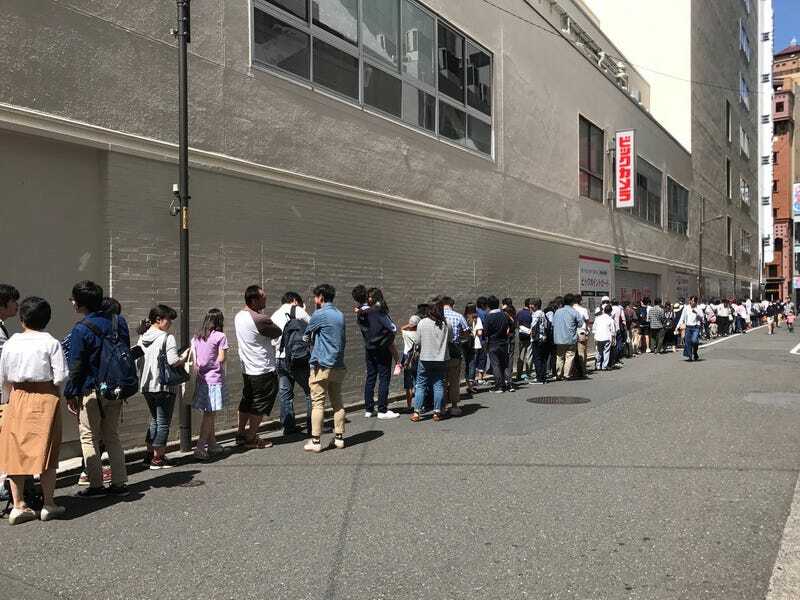 For many folks in Japan, it’s still hard to walk into a store and purchase a Switch. It’s certainly not impossible. Sometimes, people wander into a shop with stock, but those are the lucky ones! The little green tags say that the hardware is currently sold out. This weekend a fresh shipment of Switch hardware hit. Since the console launched in Japan, sales have been strong each week, with stores seeming to sell out all the units they have. So when new units arrive, people line up. However, they are lining up for raffle numbers for the chance to purchase a Switch. The winning numbers were posted, and only the winning few were able to buy a Switch.